Please contact us with comments, additions and corrections. Please do not send attachments without prior arrangements. So that will make him 53 years And 10 months old"
from Henry & Sarah WILLIAMS to Fred's widow in Australia. 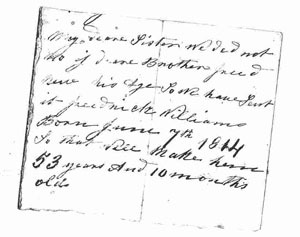 Fred was transported in 1835, aged 21.